I can't believe this is the first post I am writing about yoga. I guess it's a good sign I've have so many other things to post about... but yoga is important to me and this post is well overdue. 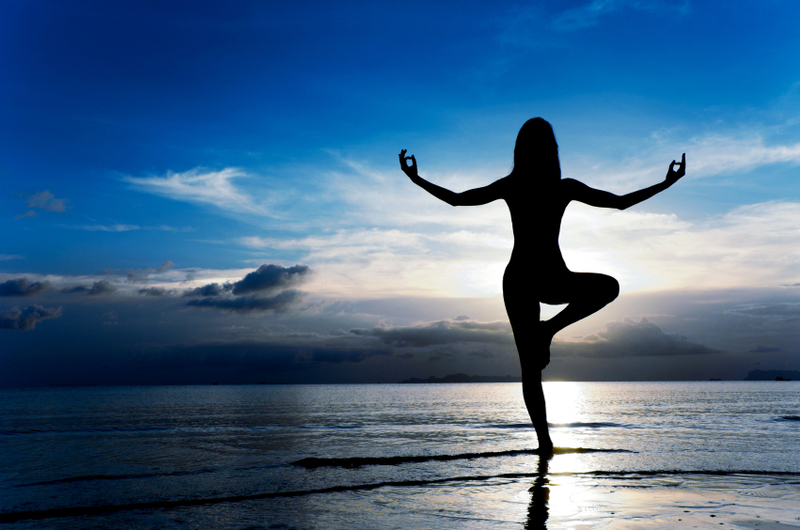 My first yoga experience was a Body Balance class at a gym in Airlie Beach, Queensland. This is pretty random seeing as I grew up in Adelaide and live in Perth now. I was living in Airlie Beach for a short time and, looking back, I have no idea what drew me to try Body Balance. I really enjoyed the class and have never looked back. I'm not much of a gym person at all (making the experience doubly random!) so I have tended to do yoga at specialised studios since then. I have tried quite a few styles since I would go to classes wherever it was convenient. My tastes have changed a bit over the 10 plus years that I have intermittently practiced yoga. I have, however, always liked more physically challenging styles such as Iyengar and Ashtanga. Not that I ever knew what a style was called at the time. It's only been in the past few years that I've started to take notice of those kinds of details. Iyengar uses props during their classes to help you achieve positions. They even have ropes on the wall so that you can hang there and do moves. It's pretty challenging and very fun to do. Ashtanga is a bit more rough and basic in some ways. There is less emphasis on props and the sequence is flowing (vinyasa). I think the simplicity of it, along with the physical challenge, is what appeals to me. I wore a back brace as a teenager to correct curvature in my spine caused by scoliosis. The curvature was borderline at the point of having surgery but my parents were keen to avoid that. Luckily I responded well to wearing the fibreglass frame around my hips, lower back and up to my shoulders. My spine ended up returning to about the same amount of curvature that I had when the problem was noticed when I was 12. I have always been aware of the imbalance in my body and have somewhat intuitively felt that yoga is a good counter to this problem. I am still continuing to learn about my body through yoga. I feel it become more balanced as I build strength and awareness. Part of my attraction to yoga was definitely based upon the ease I felt stretching in positions. I am reasonably flexible and that made it easier for me to access positions that many would find quite difficult. After a few years, however, I realised I was crunching into my joints and over extending rather than achieving the perfect position. This is often the case with women, who are generally more flexible. We need to build strength in postures, rather than push into them, seeking even more flexibility, and risk injuring ourselves. Building this awareness takes time and I think that is the real attraction of yoga for me. You always have something else to learn. There are so many things going on in a pose. Your mindset or presence in the moment, your breathing, your balance and strength, holding onto your bandha's (your pelvic floor and lower stomach muscles), as well as listening to the teacher and being aware of what neighbouring students are doing. I often struggle to do everything! My flexibility and strength have improved since I started regularly practicing yoga. I am working to build strength in my shoulders to help reduce my neck and back pain. I know how to protect my joints by slightly bending them and using the muscles around them to hold poses. Working with good teachers has taught me to be aware of these issues. It amazes me how much yoga teachers know about physiology. I guess they have learnt the hard way! A lot of the techniques that are used during class are about focusing on your body and accepting its limitations. Then you want to push yourself to the edge to try and improve on what you can do. Sometimes this can be quite scary, bending into positions or trusting gravity to do its thing. I love that part of yoga practice. Trying something that you can't imagine doing and then finding you can do it. It requires you to let go of your predetermined beliefs. I couldn't spruik the physical benefits of yoga without pointing out the obvious - it gives great body tone and helps with weight loss. I started practicing a few months after having Turtle. I did a combination of Kundalini mum and bub's yoga and Ashtanga yoga. I achieved my pre-baby weight when Turtle was 8 months. I am now about 5 kilos lighter than I was pre-baby. I cook heaps more homemade food and I am busy chasing after Turtle and the dogs. I also practice yoga 1 to 2 times a week. I am not a religious person but I see myself as being spiritual. I find yoga is the perfect way for me to celebrate that and be grateful for all of the wonderful things in my life. I have found most yoga studios express values that I relate to, and agree with. I guess I feel welcome and included in their community. A huge part of the spiritual aspect of yoga for me is having time to be completely present in the moment. It is a rare thing to have that kind of experience in our modern busy lifestyles. During shavasana (rest) at the end of a yoga practice I often find it hard to keep my mind from drifting to all of the things I need to do. On the days when I can relax and empty my mind I find a pure joy in that time for my brain to be still. For my brain to rest. Many people only see yoga fitting into this one category - relaxation. I appreciate this part of the yoga experience. I am not the kind of person who needs high impact, high stimulation exercise. I keep myself busy enough with my day to day activities! Breath awareness and control is an important part of yoga. This is something that can be used in daily life to help keep calm, to try and destress and to try and get to sleep on a restless night. Yoga methods can also help to diffuse an angry mood or mindset. I always come out of a class feeling centred, happy and at peace. This can be a valuable tool to have when you are faced with challenging situations. I have definitely become more at peace with my response to conflict through my yoga practice. Many other parts of my life have also helped with this. Finally, the best part of yoga really is - time out for myself. No matter how flat or sick or tired I have felt in the lead up to my class. Once I am there I am overcome with a calm, happy feeling and a peace that I have an hour and half to myself. My phone is on silent. The world is pushed away for a short time. I can focus on the simplicity of a stretch or a balance in peace. Sharing a moment with my fellow yogis. Are you a fan of yoga? Can you relate to most of what I like about it?